In my post last night, I argued that the Toulouse shootings could harm French president Nicolas Sarkozy because it could (i) focus attention on the inability of French security services to apprehend Mohammed Merah after numerous warnings and after he committed two shooting rampages and (ii) force Sarkozy to mute his rhetoric on immigration, leaving the stage to more extreme voices like Front national candidate Marine Le Pen to capitalize on voter anger about the shootings. I still believe that’s true — and we’ll know in two or three weeks when the politics of the tragic shooting have more fully played out. It’s been quite clear that Sarkozy has a much wider range of political skills than Hollande, and there’s a certain advantage to being able to project a message of unity and calm as the sitting head of state. 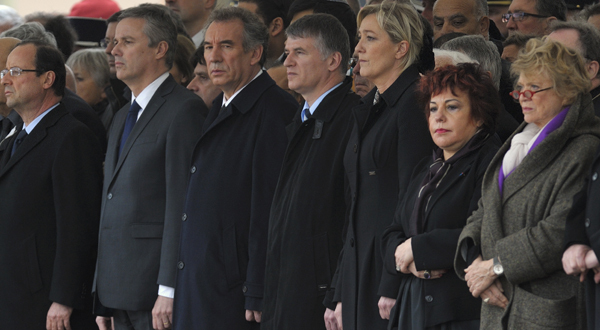 Who ‘wins’ in the fight about the Toulouse shootings? To say that French president Nicolas Sarkozy will try to use the Toulouse shootings to his advantage in the presidential race is fairly coals-to-Newcastle (or, if you will, coals-to-Nantes). Although his campaign is already trying to fake the high road by accusing rivals of taking advantage of the incident for political gain, Sarkozy himself has managed to sound a message of national unity and calm, on the whole, which should be the first job of any head of state in the aftermath of a tragic event. That’s to be applauded. But politically, it’s a fluid situation, and while it’s already impacting the presidential race (and it was impossible for such a large event not to impact the race), it’s not clear to me that it’s a win for Sarkozy, even if the gunman does turn out to have ties — real or aspirational — to al-Qaeda. In a world where Front national candidate Marine Le Pen will continue to deploy over-the-top rhetoric in arguing that the way to stop future shootings like those that occurred Monday is to ban French immigrants and treat Muslims with suspicion, and where Sarkozy wants to be seen to rise above petty politics by playing the statesman, Sarkozy may well have to lay off the immigration rhetoric that he’s used to such great effect in the past few weeks — thereby giving up (for now) the one tool that’s helped him claw his way back into contention for the first-round lead. While Sarkozy may try to use the incident to paint himself as a stronger candidate on terrorism — I have no doubt that Sarkozy’s tough talk will be more convincing than Hollande’s — I’m still not so sure that will be such a clear win. If it is true that French security forces have known about the gunman for “a long time,” and if Parti socialiste candidate François Hollande has any fiery pluck as a candidate, he should soon be asking why Sarkozy’s government let the suspect shoot three Muslim soldiers and then, days later, three Jewish schoolchildren and one parent, before going after him — and then taking the better part of a day to apprehend the gunman. The tragic killing of four people outside a Jewish school in Toulouse on Monday by Mohamed Merah, a gunman of Algerian origin, who may also have murdered three Muslim soldiers elsewhere in southern France, and who has ties to Afghanistan, has become a powder keg pivot point in the French presidential election. 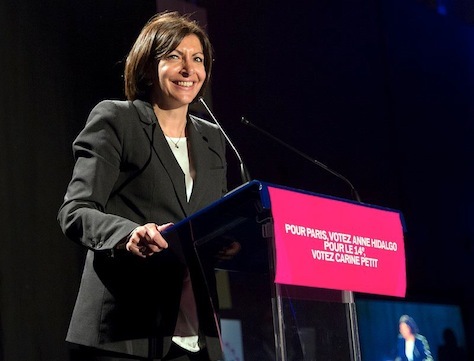 With so much of a focus on immigration by both incumbent Nicolas Sarkozy and Front national candidate Marine Le Pen — the campaign just a couple of weeks ago went a round on the threat of halal meat in France — it is not difficult to see how this story could galvanize the campaign in the days ahead in a way that could challenge the calmer, more pro-immigration voices of frontrunner François Hollande of the Parti socialiste. 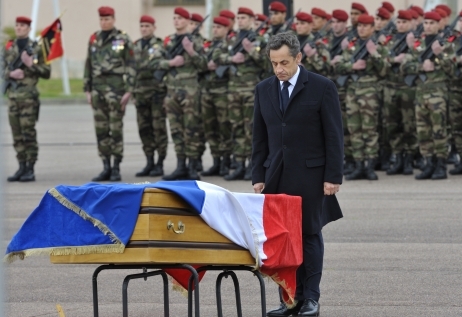 The shocking event provides both Hollande and Sarkozy a crisis of the first order to demonstrate their particular styles of presidential leadership.